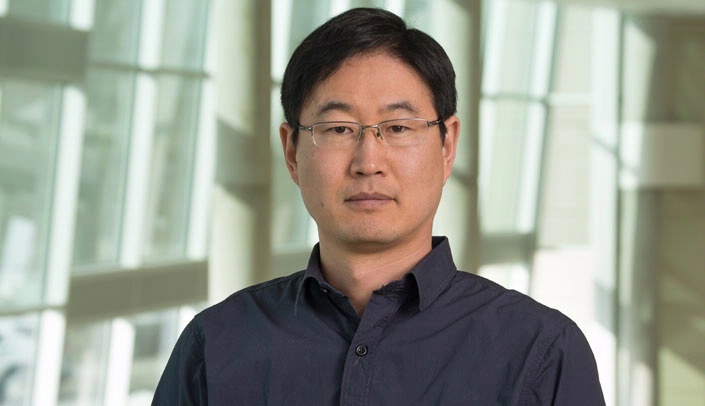 New Investigator: Woo-Yang Kim, Ph.D. The goal of my research is to make a significant contribution to the discovery of the causes and effective treatments of autism and intellectual disability. To do this, my lab tries to understand how the developing brain forms complex yet specific neural circuits anatomically and functionally. Abnormal neural circuit formation is associated with many neurodevelopmental and psychiatric diseases including autism, intellectual disability, and schizophrenia. Thus, identifying molecules and signaling mechanisms of neural circuits may lead to a better understanding of the pathogenic mechanisms underlying neurodevelopmental disorders affecting cognition and behavior. "Don't try to control everything. Try to establish your identity by focusing on what you can do well and good things will come to you." I am a basketball fanatic. If someone asks what you want to be other than a neuroscientist, it is a pilot. I am a dog lover dreaming of living with a Husky and a mini Yorkie. Congratulations Dr. Kim! You deserve this honor for all your hard work. It's fun for me to learn three things that I didn't know about you. You are such a quiet next door neighbor!